Founder and Principal. Sue is a Life Member of the Royal Academy of Dance. 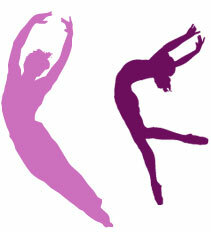 Sue teaches ballet, repertoire, virtuosity, pas de deux, pointe and audition preparation. Sue began dancing at the age of 7, with her sister Lynda. She was hooked immediately and took her first ballet exam weeks after her first lesson. Originally trained by Christine Cox, Sue then continued at the Bristol School of Dancing with Muriel Carpenter, Mary Hoskins and Lynn Britt, regularly dancing at the Bristol Hippodrome with the Bristol Old Vic Company and in shows with Bruce Forsythe and The Seekers. Sue was accepted at The Royal Ballet School, London under principal Barbara Fewster. 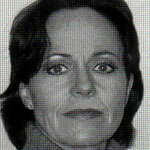 Sue is an associate of the Royal Academy of Dance having been awarded the advanced 2 qualification. While training at RBS, Sue observed the Royal Ballet Company rehearsing dancers such as Margot Fonteyn and Rudolf Nureyev. Sue was offered a contract with the Northern Ballet Theatre (Northern Dance Theatre) and danced soloist roles with the company for 7 years. Sue was one of the original 13 dancers, when Laverne Mayer founded the company in 1969. While a member of the Northern Ballet Theatre, Sue regularly took company rehearsals and this is where her passion for teaching began. After relocating to Devon Sue taught at Ravenswood School and Blundells School. Wightmore School of Dance was founded in 1983 and a performing company which regularly raised money for Action Research, The Umbrella Project, Clic Sargent and Save the Children. To date over £12000 has been raised. Christina Wightmore BA(hons), ARAD, RAD RTS, AISTD DDE, IB, MT, T, AAC. Vice-Principal and Artistic Director. Christina teaches ballet, modern theatre, jazz, tap, acrobatic arts and contemporary. Christina was first taken to a ballet class when she was just two weeks old and was introduced to the world of dance and theatre as a small child. Christina started dancing with her mother as soon as she could walk and started performing on stage at the age of 3. As she grew up her school holidays became full of dance courses with Ballet Creations, the Wells Summer School with Francesca Filpi, Darcey Bussell and dancers from the Royal Ballet. She also attended the Royal Academy of Dance courses and RAD South West Regional Scholars. Christina was awarded a scholorship place at Northern Ballet School and Ballet West. Christina graduated with a Higher National Diploma in Professional Dance, Royal Academy of Dance Teaching certificate and her advanced 2 qualification resulted in her becoming an associate of the Royal Academy of Dance. Christina also holds her advanced 2 qualification in ISTD Imperial Classical Ballet, Tap and Modern Theatre Dance. Christina performed with the Ballet West Company in full length touring productions of Swan Lake, Coppelia, Upstage and The Nutcracker throughout Scotland and Ballet Creations production Coppelia under directors Ursula Hageli and Richard Slaughter. While studying at Northern Ballet School, Christina had the opportunity to teach 1st year pointe classes which she found an invaluable experience giving her an insight into teaching at a vocational school. She taught on the Ballet West Outreach programme in Scotland. Christina graduated from Middlesex University with a BA(Hons) Professional Practice Dance Education and then completed her ISTD teaching qualification in modern theatre, tap and imperial classical ballet. Sue and Christina are not only very passionate about teaching young people, but are also pleased to give back to the community. Sue and Christina believe that the local people deserve a dance community with high quality professional dance training in all genres where children can make friends who have the same interests and passion for theatre. In assisting students to achieve their dance potential, Wightmore School of Dance is committed to continuing professional development to ensure the knowledge and teaching practice remains at a consistently high standard. All ISTD Modern Theatre Dance, Imperial Ballet, Tap and RAD Ballet exams now carry UCAS points which can be used when applying for further education, college and University. We are thrilled to have Dennis Bonner, Ursula Hageli, John Haynes and Mark Hindle as patrons at Wightmore School of Dance. Look out for them teaching at upcoming dance workshops and holiday schools. Born in London, Denis Bonner, Benesh Choreologist and Répétiteur, trained at the Royal Ballet School. 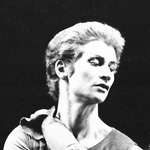 After a three-year period with Northern Dance Theatre (now Northern Ballet), he joined Sadler's Wells (now Birmingham) Royal Ballet in 1976. With SWRB he performed in ballets by Ashton, MacMillan, Balanchine, Cranko, de Valois, Van Manen, and Bintley amongst others, notably in character roles. Moving on from his dancing career he studied Benesh Movement Notation and on graduating from the Benesh Institute he assisted Sir Peter Wright with his 1986 production of Giselle at Covent Garden and was subsequently invited back to SWRB as a company notator under Sir Peter's direction. He now rehearses and teaches much of Birmingham Royal Ballet's repertoire and travels internationally, staging works by Bintley, Ashton and MacMillan, and Wright's productions of Giselle, Swan Lake, The Sleeping Beauty, Coppélia and The Nutcracker. Ballet Mistress Royal Ballet Company, London. Born in Zurich, she began her training there, then at the Royal Ballet School. During a performing career of over 30 years her repertory included most of the leading classical roles and she had many roles created for her. Her professional career began in New York aged 17, with Stuttgart Ballet. Three years later she joined Northern Ballet Theatre as a principal in 1980, London City Ballet, where she was coached by Svetlana Beriosova for her first Odette/Odile and many other roles. While there she met Richard Slaughter and together they founded Ballet Creations, with whom she appeared in Portrait of Pavlova, re-creating Pavlova's most famous roles, and created the title roles in The Little Mermaid, Cleopatra and Cinderella. She has also been a principal with The Royal Ballet's Education Unit. John started his dance training at Penryn School of Dance in 1954. He was then offered a place part-time at Ballet Rambert School where he remained until 1964. John subsequently transferred to Ballet Rambert School full time until he was offered a place at the Royal Ballet School. He also trained as a mime artist with Ladislav Fialka from Prague, Jacques LeCoq from Paris and Carlo Bosso from Venice. Other teachers include Marie Rambert, Angela Ellis, Errol Addison, Rene Bon, Stanley Williams, Desmond Doyle, Brian Shaw, Piers Beaumont, Peter Clegg. John's first professional contract was with the Royal Ballet Company from 1967-1970 in London and America. He joined the Northern Dance Theatre(Northern Ballet Theatre) in 1970 and toured in Manchester and throughout the United Kingdom. He has taught at Northern Ballet School (1978-1979) and also with Emma Dance, Guizers, Diddley Dee and Loughborough Museum. John has chroeographed for Royal Ballet choreographic group, Northern Dance Theatre, Emma Dance and Guizers Dance and Mime. 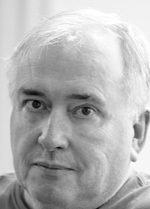 Moreover, he designed stage scenery for Leicestershire Performing Arts and Anima Dance. John has had an extremely varied career and graduated with a fine art degree in 2001 with a 1st class honours. Mark is currently performing in 'The Lion King', 'Disneys Award Winning Musical' in Holland. Mark trained at Northern Ballet School. Since then he has been working professionally on a variety of dancing and acrobatic performances such as Celebrity Cruises, Costa Cruises, P&O Australia, Rapunzel the musical, Pirates of the Caribbean Jubilee Hyde Park, ITV's Mrs Biggs and Freej Dubai/Saudi Arabia. Mark has also been teaching for KNT Danceworks in Manchester and Liverpool. Mark has also been adjudicating the grand finale, Next Big Step and guest teaching at Northern Ballet School.